With social media and marketing abbreviations, acronyms, and lingo being thrown around so often, we know it can be confusing. 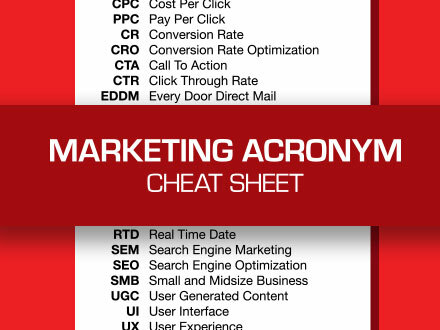 Luckily for you, we’ve created this cheat sheet to help keep track of all these terms and sound like a marketing expert. Click the link below to download a printable copy.